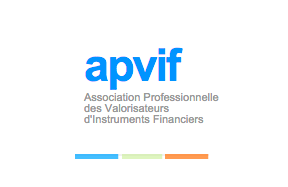 Since 2011, Momentum Consulting has been a member of the APVIF (Association Professionnelle des Valorisateurs d’Instruments), the French association of financial instrument valuation providers. ensure the representation of financial instrument valuation providers at the FFEE (Fédération Française des Experts en Evaluation – French Federation of Valuation Experts). In the current climate, it is essential that the financial instrument valuation providers stress the fact that objective and transparent valuation of financial assets, and more particularly derivatives, is crucial to a sustainable market development. By becoming part of the APVIF (www.apvif.org), Momentum Consulting is actively participating in re-establishing trust in the sector through a better understanding of derivatives and a deeper communication with regulatory bodies.